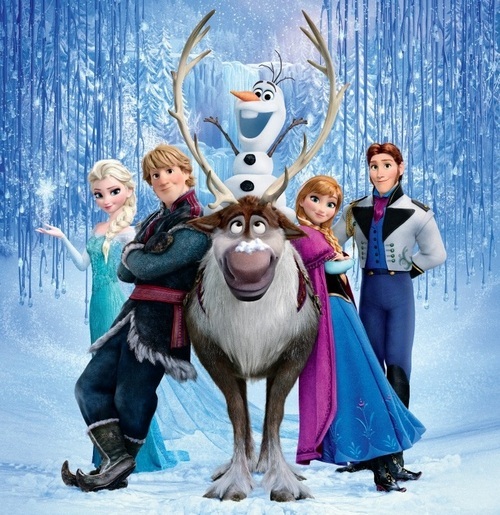 Have you seen Disney’s family friendly film ‘Frozen‘ yet? If not, take a snow day or make time to get your kids to the theater. My tots loved the film and, after hunting down the soundtrack, my daughter knows the words to her favorite songs by heart. She will be able to put that fun skill to good use soon! This Friday, January 31st, fans can experience ‘Frozen’ in a new way or see it for the first time. More than 2,000 theaters nationwide will host a showcase featuring the all-new sing-along version of the film. On-screen lyrics and a magical bouncing snowflake will accompany select showings to bring you a new way to enjoy the story that is an Oscar-nominated, Golden Globe-winning big-screen adventure. Disney has released a teaser to give you a taste of the experience. I will probably be belting out the tune as you enjoy it for yourself. This film is a definite crowd-pleaser. A wide range of fans from grandparents to tinier tots will enjoy the twists, turns and laughs. My tweenaged niece even enjoyed it. The story story line follows the plot of Hans Christian Andersen’s fairy tale ‘The Snow Queen.’ It is one of those classic tales you forgot how much you loved until you revisit it and fall in love with it all over again. Kristen Bell, Idina Menzel, and Jonathan Groff all lend their voices to bring their characters to life. The songs are catchy without being overly bouncy, but still capture the heart of the audience. This will be an amazing sing-a-long opportunity. “Let It Go,” the song featured above, was just one of the showstopping tunes that melt your heart. ‘Frozen’ has already blasted the $800 million worldwide! To say it is popular is an understatement. So, it might be wise to check local listings and grab tickets now.